Further work has revealed that the early medieval period was a veritable paradise for dragons. This can be attributed to the period's unusually warm temperatures Fig. 2 and an abundance of knights, the beasts' favourite combatant and food. 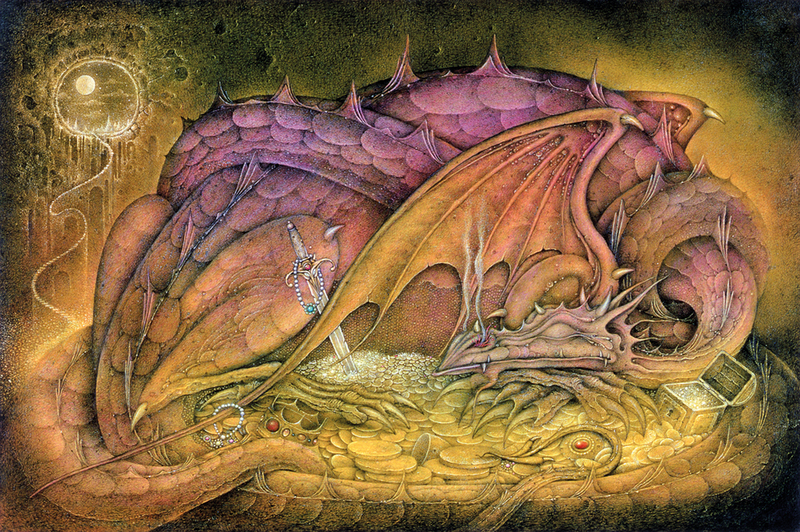 It was also a time when wealth and status were measured in terms of gold and silver — the preferred nesting material for Western dragons. As a result, the major needs for living, feeding and, crucially, relaxation were readily available to dragons, allowing populations to flourish. The roasting of flesh and the indiscriminate demolition of hovels and castles became commonplace. But the new research is truly unbelievable. "According to the data gathered," we were told by lead scientist Arne Illbebaackersson, "we have historically vastly underestimated the volume of emissions generated by Trolls and other quasi-human entities. Once these new estimates are incorporated into climate models the correlation becomes obvious." With mounting evidence of the real cause of climate change, Fergus also points out the Guardian kicking off the silly season, also known as the British election campaign (Cameron should have known better than to set the first day of the campaign when he did). At 8:02am today, SunCommon notified the Agency of Natural Resources of a massive solar spill. Attempts to limit this discharge have failed, and it appears that the spill will continue unabated. Unchecked, this incident is pouring solar radiation the equivalent of 3 billion gallons of gasoline across Vermont’s landscape – every day. Eli is not adverse to adding other links and bits and pieces. What did you think of the video, Fergus? Look-alike? I had a meeting with the Koch Brothers and suggested they finance a Rupert Murdoch takeover of Nature Publications. This paper shows the deal was successful, but I don't agree with the publication of such low quality science. They should be publishing more sedate and believable content to merchandise doubt about climate warming and human genetics, and induce the readership to vote republican. Good point, Fernando. Surely there are more serious threats than some dragons burning cities to the ground. For instance, the president is a muslim from Kenya! Why doesn't Nature write about that? What are they trying to hide? My personal favorite for the day comes from the Smithsonian.